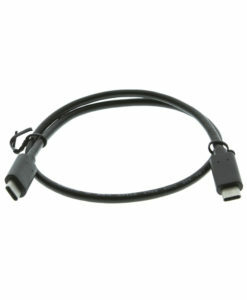 For home or office, this USB C to VGA adapter cable uses gold plated connector for a maximum video resolution of 2048 x 1152. At 5 meters the cable length is perfect for longer connections to your VGA display. CoolGear’s new USB C to VGA adapter cable supports high resolution output from a Type-C USB connection. 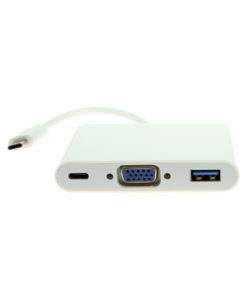 The VGA adapter cable supports a max resolution of up to 2048 x 1152 at 60Hz over its 5 meter length. Its USB C to VGA configuration will work with DP ALT Mode devices such as various laptop, tablets, or mobile phones. Supported resolutions: 800×600 (SVGA), 1024×768 (XGA), 1600×1200 (UXGA), 1080p (Full HD), 1920×1200 (WUXGA) & 2048×1152. Featuring gold plated connectors and screw locking VGA connector, the USB C to VGA cable makes for a hassle free installation. 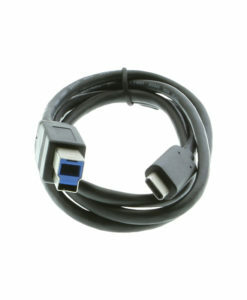 Use this adapter cable for VGA output to your compatible display for home or office environments.